We are offering Coding Ink to our client. - Color : Black, Blue, Red, Violet, Green, Golden, White, Silver, etc. which are food grade & anti-freeze type suitable for butter, milk, oil, laminated surfaces, BOPP, aluminum foil, metal, glass, etc. This Printing Ink Additive enhances the drying capacity of printer inks in an effective manner. Pioneer in the industry, we are engaged in manufacturing and supplying an impeccable range of Coding Ink. We are successfully meeting the varied needs of our patrons by offering a wide gamut of Marsh P Ink as per their precise needs. Specially developed free flowing, limpid, transparent, water resistant ink for marking on HDPE wooven sacks. The ink is fast drying & is resistant to solvents. Lubricants & spermicidols. The ink gives clear, sharp, indelible markings on the surface of HDPE.The ink is available in Black, Violet, Red, Green, Brown and Blue colours. Other colours can also be supplied on request. Pharma Coding Inks offered by us are specially made for over printing batch marking & coding on different pharmaceutical products. These ink are packed and filled in different sizes. These ink are made from quality toxic free chemicals. Suvichem has developed liquid, free flowing, indelible coding ink which is highly resistible against alkali, acetic acid, soap, butter/margarine, coconut oil, water. This coding ink is specially developed for industries like soap, cosmetic, detergent, shampoo and milk product industries. 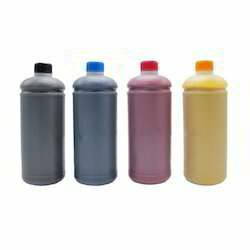 We manufacture and supply a wide range of Ink Thinner, Reducer and Ink Modifiers. Pack Size: 500 ml to 20 Ltrs. We are offering Antifreeze Coding Ink to our clients. Supported by a team of professionals, we offer premium range of Batch Coding Ink for Printing Industry. 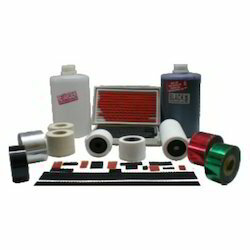 Additionally, client can get the offered product from us at very affordable prices.